Going Up!! 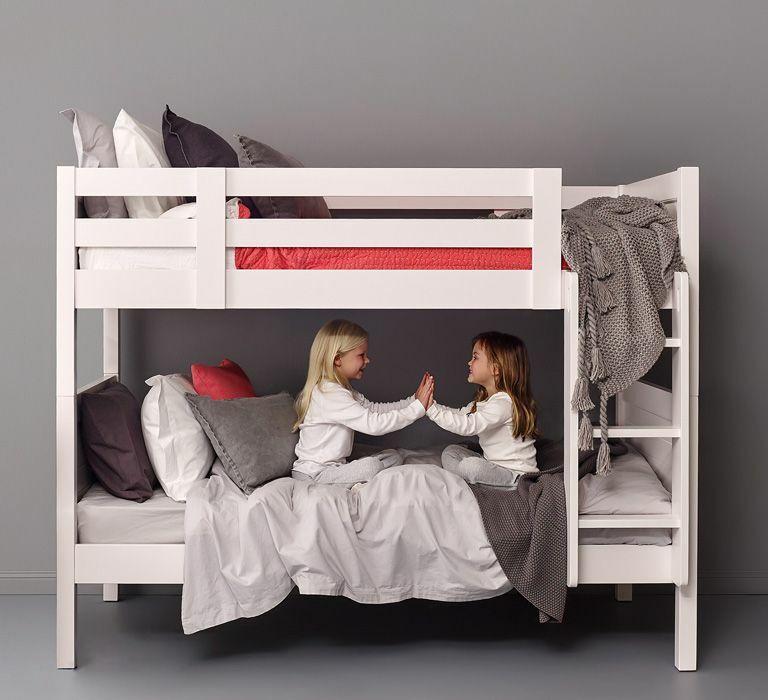 When space is a premium, bunk beds are a smart, fun and practical option to fit two beds in the space of one. They provide an excellent solution to save floor area and an easy way to add extra beds for siblings, guests and sleepovers without sacrificing space. Add a matching trundle to any of our bunks to further increase the sleeping capacity of the room or create extra storage. Once you choose the perfect bunk, the only decision left may well prove the most difficult. Who gets to sleep on the top? Whether you love modern or traditional design, the warmth of timber, or cool, contemporary steel, Bedtime offers the largest range of exclusive bunk beds for kids in Australia in a wide range of sizes including single, king single and even triple bunk and double bunk sizes. Many of our bunks are designed for the ladder to be positioned in any corner, and designed to mix and match with a large range of optional bedroom furniture including dressers, hutches, bedside tables, shelving and of course trundles. If your children’s bedrooms are short on space [often kids rooms are the smallest in the house] or you would simply like more room, a bunk bed for kids is a great way to help. By going vertical, a bunk adds a second bed saving at least 3 square meters, creating more room to play or to add other furniture such as a chest of drawers, bookcase or desk. Our bunk beds for kids come in two main sizes; Single bunk beds which measure 1050mm wide x 2000mm long and king single bunk beds which measure 1150mm wide x 2100 mm long. In addition we have triple bunk beds [single on top with a double on the bottom]. I sent my husband into the store in Melbourne as we live in Sydney and really love the website. He ordered and had them delivered to our house the next week which I think is fantastic service and turn around time. Strong and built to last, graphite colour is great. I wish bedtime would open in Sydney .